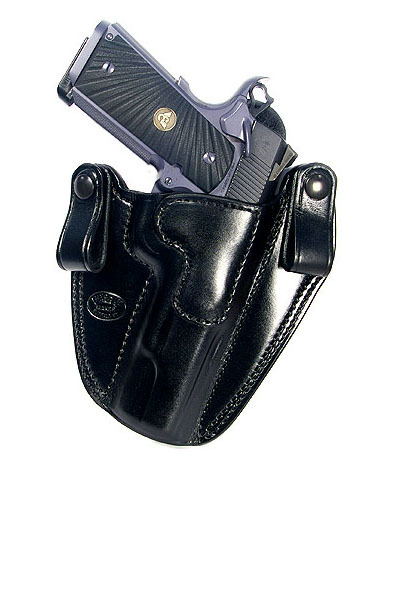 This Ritchie Leather Hideaway HK USP Compact Holster is an inside the waistband leather holster, right handed, black, 1 1/2" belt loops. Designed for concealment and comfort. Fits Heckler & Koch USP Compact 9mm and .40S&W models.